Most people have a general understanding of how blackjack works, but it’s easy to believe common myths about game play if you haven’t fully learned it. As such, here are common mistakes, myths, and misconceptions surrounding the game of blackjack which you should cast from your mind immediately. The misconception that the aim of blackjack is to get as close to 21 as possible is the most common of all and leads to many players chasing the elusive 21 and ignoring what’s really going on at the table. You should always check the dealer’s upcard, remember that the dealer has to stand at either a hard or soft 17 depending on the table’s rules, and look out for favourable opportunities to split your hand. While blackjack strategy may seem intimidating at first, there is no need for you to learn all the blackjack strategies off by heart. Start by printing out a strategy chart which can be consulted until you’re more comfortable with the ins-and-outs of the game. All you’ll have to do then is follow the action provided for each possible combination of the dealer’s upcard and your total. The idea of being ‘due’ for a win after consecutive losses is a common mistake amongst gamblers in general and is known as the ‘Gambler’s Fallacy’. Just like with horseracing where a loss on one race should guarantee a win in the next owing to the law of averages, this should also be kept in mind when considering horse racing tips NZ. This is why many blackjack players start to increase their bet sizes after a few losses as they follow the logic of ‘the more you bet the more you will win’. Unfortunately, every hand is a completely separate event from the last and you can’t bank on winning after a few too many successive losses. The goal of blackjack is to beat the dealer’s hand, but many players seem to think that their fellow table mates are somehow going to hurt their chances of achieving this. Remember every player at the table is playing against the dealer, not you! Even if your table mate makes a bad decision, this does not influence your hand and you should think of it as if you’re playing alone at the table. It’s often stated that blackjack has a house edge of just 0.5% which makes it very appealing to players, but more often than not this is simply not the case. 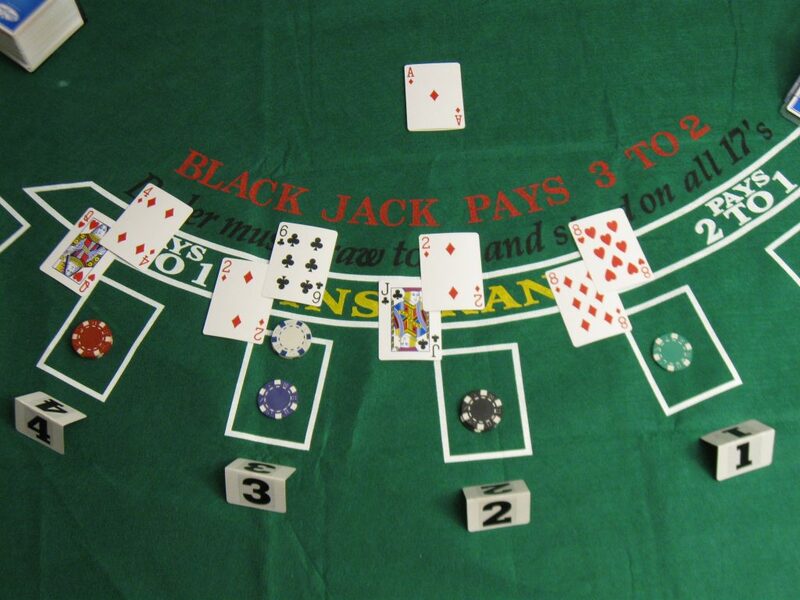 The rules of the game are dependent on the table – one game may offer 3:2 payouts for blackjack and force the dealer to stand on soft 17, while another may offer 6:5 blackjack payouts and allows the dealer to stand on soft 17. Insurance is an addition bet as to whether the dealer will have blackjack when their upcard shows an ace. If the dealer does have blackjack and you’ve taken insurance, you will be paid 2:1. It may sound appealing to the uninitiated, but the problem with insurance is that only 16 of the 52 cards in the deck will give the dealer blackjack – a chance of 30.77% – leaving you losing the other 69.23% of the time.